Important information to get the ball rolling. Make the most of your new website! Tips to make your launch as smooth as possible.  NOTE: While we do our best to keep this information up to date, code updates from WordPress, WooCommerce and/or Murphy’s can affect the way the QMS system handles these processes. If you believe an answer needs updating, please let us know. How do I participate in a Murphy's Flash Sale? Promote your sale using the link shown on the MMS Integration page (it is always the same link). View the full documentation: How Can I Participate in a Murphy’s FLASH Sale? What sales margin should I use for the Flash sale? Flash sale products are added to your website at YOUR COST not at the MSRP, which is the usual method for setting the price of Murphy’s products. Therefore you need to set a % markup to provide a selling price for the customer. Need more information? How Do I Set My Flash Sale Margin Percentage? Can I change the price of a Murphy’s product? You can set whatever sale price you want for all products but you should not change the regular price because it will clash with our automatic synchronization process when we communicate with Murphy’s Web Services which eventually will revert the regular price back. Alternatively, if you want to set the product to use Local Inventory (not tie into Murphy’s inventory and order processing) then you CAN set your own price. This would be the equivalent of setting your own price to your own inventory of Murphy’s products. These “local inventory” products are not synced with Murphy’s so you can set your own price. Do discontinued products get removed from my website? Discontinued products are no longer supported through Murphy’s Web Services so there is not an easy way to identify if a product is discontinued. We do our best to handle discontinued products by taking the data from Murphy’s Discontinued list and matching the product SKU’s to tag products as discontinued. Since this is not automated through Murphy’s Web Services, we update Discontinued products on a monthly basis. Discontinued products are *typically not removed from the website. They will not show up on the shop or category pages because they are out of stock. We keep discontinued products on the website so that customers can still see this information in their account order history and sometimes the products do return. Discontinued products are clearly marked as Discontinued on the product page should a customer happen to stumble upon them. *We may need to clear the website of discontinued items as the number escalates. How do I remove or delete a Murphy's product? You can’t DELETE a product that Murphy’s has in Web services because it will be restored during the next sync, but here’s how to get around that problem. View: How Do I Remove a Murphy’s Product? You can sell from your own stock of Murphy’s products by setting the Local Inventory field to “yes” and adding your stock quantity. View: How Do I Sell a Murphy’s Product From My Own Inventory? When a customer purchases a Murphy’s download from your website the customer will receive an email from Murphy’s with the email and password required to access the download on your website. The Murphy’s download system is separate from their web services and therefore we have no control over the emails that are sent. Most problems arise because the customer doesn’t use the correct email or password that is included in the email. You can read more about how customers access downloads here. 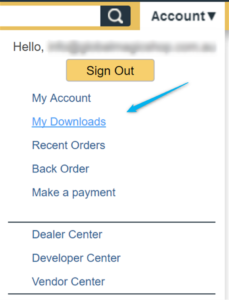 If you need to resend the password to a customer you can find all of the Download purchases in your dealer account on the Murphy’s website. When Murphy’s offers a product for Pre-Order it is displayed on their website but has zero inventory available, therefore, it will not display on your website. When the product becomes available it will display on your website and be synced with Murphy’s inventory. You will need to manually place an order with Murphy’s for all of the Pre-Orders you sold, since the Pre-Order product is not synced with Murphy’s. Create your own version of the Pre-Order product and name it slightly differently than the actual product. eg. “Pre-Order Mystery Magic Wand” If you ever duplicate an existing Murphy’s product to create your own you MUST DELETE THE INTERNAL ID and set a unique SKU. add the price, description, images, and category. add an estimated launch date so customers have an idea of when the product will be available. add inventory or uncheck the Manage Stock option. The new product will display on your website when Murphy’s releases the product for general sale and has inventory. When the product is available on your website, turn your Pre-Order version of the product to draft mode. Our most successful dealers are the first to send Pre-Order alerts to their email list and secure those orders before most people even know a product is coming. Promote the Pre-Order and watch for it’s release so you can turn your Pre-Order to draft mode and order the products. If You Duplicate a Murphy's Product You Must Delete the Internal ID!!! If you ever duplicate a Murphy’s product you MUST delete the Internal ID and use a unique SKU. Failure to do so will break the synchronization of your website with Murphy’s. Setting a duplicate product to draft mode or even trashing the product is not a solution because the system still detects the duplicated internal IDs. Here is how to remove the internal ID from a product. How do I submit a sales order to Murphy's? All orders for Murphy’s products that are set to processing automatically get added to your open sales order at Murphy’s. When you are ready to submit the order you simply click the Submit Sales Order on the MMS Integration page and click the Save button at the bottom of the page. We provide a step-by-step tutorial to help you keep track of the orders submitted and show you how to change the customer’s order status to “submitted.” Note that changing the order status to “submitted” only acts as a label for you, it does not submit the order. DANGER: Never have more than one sales order open at Murphy’s. This will prevent customer orders from being added to your sales order at Murphy’s. (This is a deficiency in the Murphy’s system; we have brought this to their attention many times.) If you have to contact your Murphy’s rep we recommend you submit your existing orders in case the rep opens a new sales order. How do I add shipment tracking information? When you are ready to ship the orders you can add shipping information into the Order Details page. Before you complete the order enter the shipping information in the Shipment Tracking section of the Order Details Page. See the full explanation here: How Do I Add Shipment Tracking Information? See the full explanation here: How Do I Cancel a Customer’s Order? How do I set products on sale? Before you add new products on sale you may need to clear out existing products that are on sale. How do I create a category-wide sale? You can put an entire category on sale using the Dynamic Pricing Tool. All of the products within that category will display the sale amount or percentage you set, except Murphy’s Non-Discountable items which are automatically excluded. Learn how here: How Can I Create a Category-Wide Sale? How do I set a product to be featured? Featured products are set by toggling the Star icon on the product listing page of dashboard area. Featured products are tagged during the overnight processing so any products you toggle on to be featured will not immediately display on the featured page of your website. View the full tutorial here: How Do I Change the Featured Products? How do I add a YouTube video to a product? You can quickly add the YouTube video URL into the Custom Fields section of the product to display a YouTube video at the top of the product page. View: How Do I Add a YouTube Video to a Product? How do I add non-Murphy's products? You can add your own products to the website, just remember to use a unique SKU and keep the Internal ID field empty. View complete instructions here: How Do I Add Non-Murphy’s Products? How can I set up a count-down timer for an upcoming sale? If your website is using the Divi page builder you can add a countdown timer to any page. Here is a video tutorial with documentation. How can I edit the Divi slider on my website? If your website is using the Divi page builder you can edit the slider within the page. View instructions about editing the Divi Slider here: How Do I Edit the Divi Slider? New banners are 800 x 300 px. Banners from 2016 are 980 x 225 px.